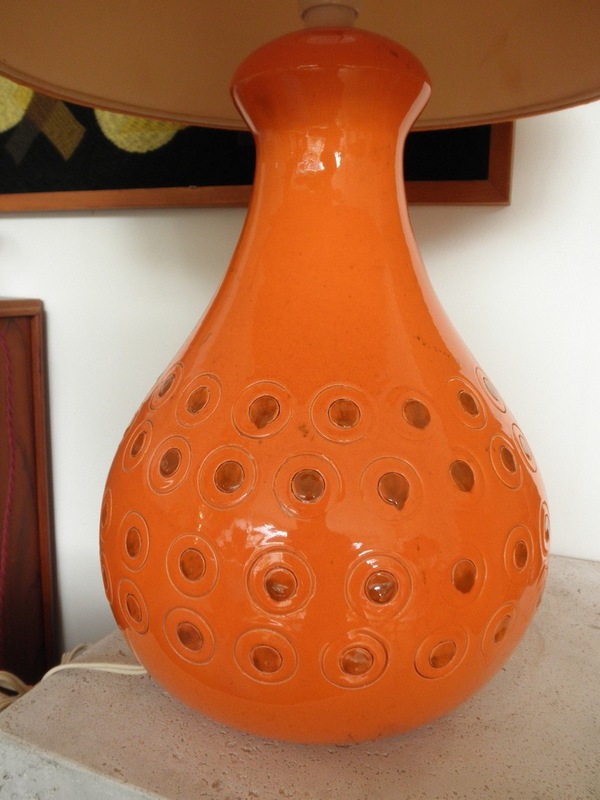 Standing 95 cm high to the top of the shade and 40cm to the top of ceramic base, this is a great impact piece in a bright vitamin c orange. The colour is more intense than appear in the photos and the glaze is in fantastic condition, overall a great piece for a bar or living room anywhere you want a bit of vintage brightness. These Bitossi pieces with their incised ceramic work highlighted in rustic glazes are becoming very collectable. This one has a great size to go with the brilliant colour.